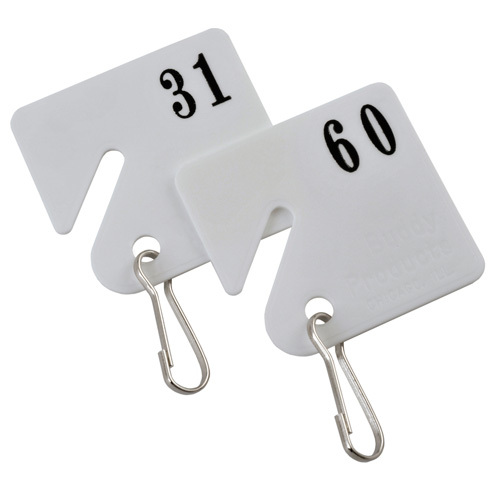 Durable molded plastic tags with metal snap-hooks. Color white. 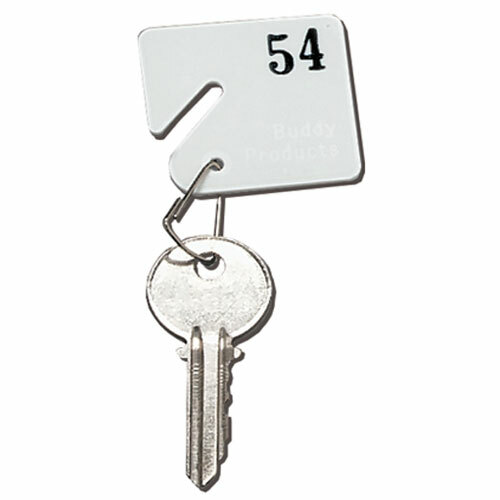 Includes tags numbered 31 through 60. For use with any key cabinet.